The July quilt is done. 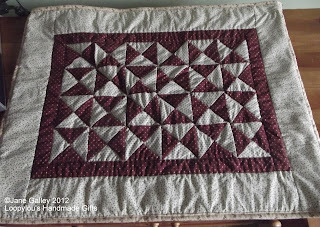 It's been hand quilted, and the backing brought to the front to bind it. It's the first time I've bound a quilt this way, and it makes a nice change. 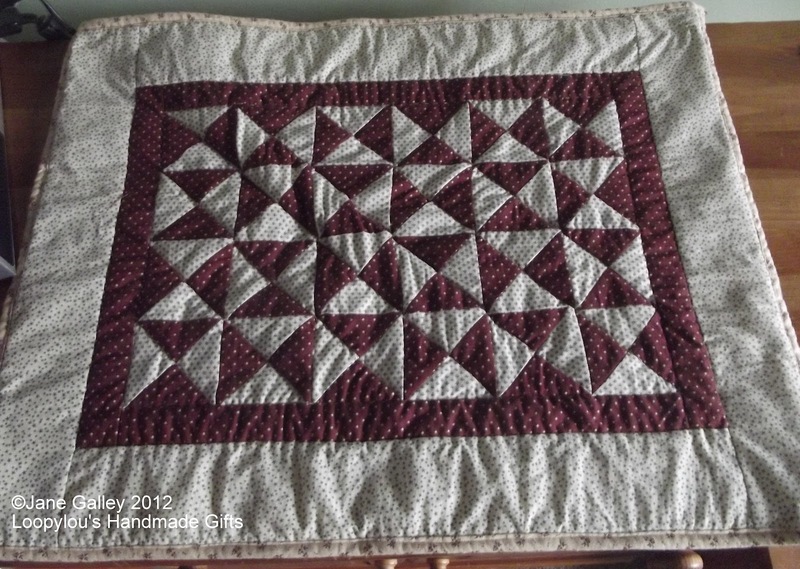 The quilt has been washed and dried, so now I need to do the small quilt for August. Most of the pieces have been cut, but they're still waiting to be sewn together. This is lovely. It's good to try out different bindings on smaller quilts. How big are these quilts? Looks good. I have done a lot of quilt binding by bringing the back around to the front. I now even do mitered corners on them. It is a faster way to get it done. I'm making the August small quilt too - chinese coins. I'm using up my 2.5" squares that I seem to have a lotof and cutting them down to the correct size. I was a bit worried about it being a bit 'fiddly' but I think it will be nice when it's done. I love all of Kathleen's quilts. This is a lovely quilt. I do like these colours very much.